Simply program your cat flap to accept the 'green' code and fit the collar to your cat. 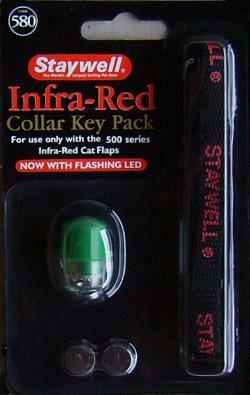 Pack includes a GREEN coded infra-red key, Staywell collar and battery. Also available coded as Blue, Pink and Yellow.